We’ve loved printing soooo many stag party t-shirts this summer! Here’s my personal favourite – charcoal grey t-shirts with neon yellow print and photos! They definitely stood out from the crowd! If you’d like us to help you to create an equally epic t-shirt designs, just contact us! Here at TShirt Print Online, our website is run by a close-knit team who are passionate about making sure that you get the best possible service when you place an order. It’s not just an automated website; unlike other online garment printers, we give you the option to speak to a human before placing your order. We’re a friendly bunch who are happy to talk you through any questions you might have, so if you need help with anything, don’t hesitate to contact us! Click here to learn more about the team! Love a personalised, printed cap? Check out our new stock of graphic caps here! We love these hip new designs. We have even more available from headoffice, so if you would like more information, please don’t hesitate to contact us! Do you need help sorting out your artwork for your t-shirt? No problem – just contact our dedicated team of designers and we’ll create a free proof for you based on your specifications! Need the background taken out of you photos? It takes our staff 2 seconds to do and only adds to the impact of a fantastic printed t-shirt. All of this is FREE OF CHARGE, so why not get in contact and we’ll help you make your design ideas a reality! Make the most of the summer with 15% off online orders on www.tshirtprint.co.uk! Just enterd the discount code TSP15 during the checkout process! 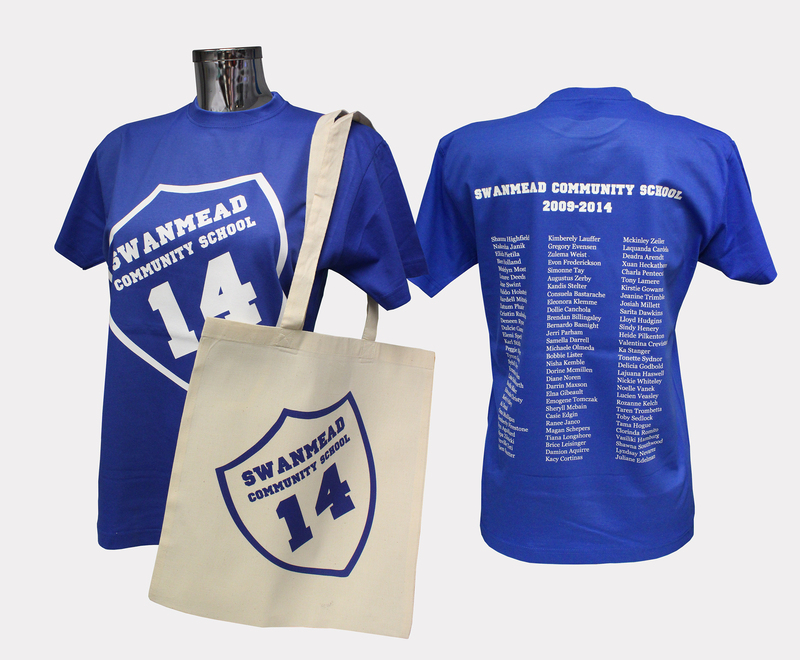 School leavers hoodies or t-shirts with TShirt Print Online! Here are our top ten things to consider when ordering your school leavers hoodies! 1) Get the artwork ready! With school leavers hoodies, it’s often about making sure you create a design that the kids are going to want to wear. Have you considered how long it will take you to get all the names together, along with the corresponding sizes? And will it feature a photo? Why not scan in each child’s signature to give it the personal touch! Or add a bit of humour with a ‘survivors’ theme! Once you’ve decided what you want to create, you can pass it over to us! We offer a FREE artworking service, where you’re allowed to make as many amendments as you like until you’re happy with the design. Also, it takes the worry away from you having to make it and you’ll be satisfied that it’s print ready as soon as you give approval! 2) Make it a product that everyone wants to wear! You can choose your bog-standard hoodies, but why not consider Neon hoodies? Varsity Jackets? Rugby shirts… or even Onesies! There’s a massive amount of choice of products, but not all of them are on our website yet, so if you give us a call on 0800 373503, we’d be happy to process your order offline so that you can take advantage of our other products. Why not think outside the box and get the kids something that they’ll love forever, rather than the usual t-shirt or hoodie? And we only offer high quality garments, so you’ll be assured that the items won’t fall apart after one wash! 3) Work with a company that isn’t automated online so you can speak to a human being! Ever needed to just check something so that you had complete peace of mind, but you can’t ask a simple question because the company make it impossible for you to contact them? I know that feeling! And that’s why we have a dedicated team of people who are here to answer your questions promptly by phone or email! 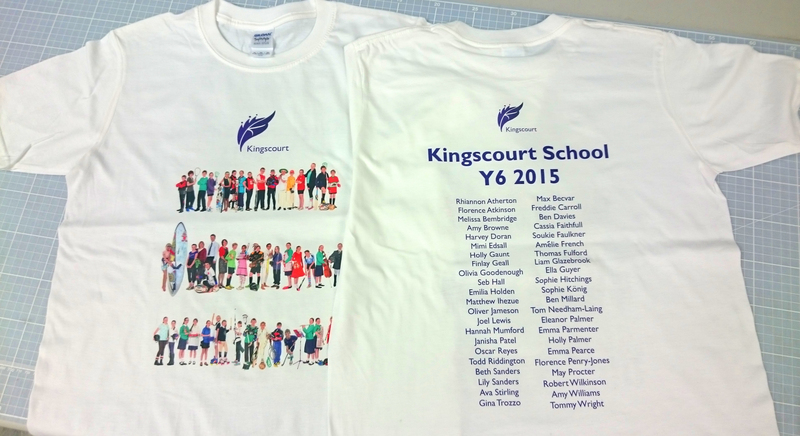 Get a feel for what the company you choose to print your school leavers garments are like before you spend money with them! Ultimately, you’ll want to make sure that they have fulfilled similar orders in the past with no problem, so do take a look at reviews and testimonials! Thank you SO much for the gorgeous purple hoodies which arrived, as promised, last Thursday. The girls (and staff) are thrilled, remarking how soft and cosy they are, as well as the professional finish. Fantastic work! I couldn’t be more pleased and will definitely recommend you to other colleagues in the future. 5) Make life easy with easy ordering! As noted previously, you can give us a call on 0800 373503 and place your order whenever you like, then pass over the design information, sit back, and watch the magic happen as we produce your design and print it for you! But if you want an idea on pricing, you can always call first to check, or use our online quote request form. If you’re a whizz with technology and have your design ready, you can use our online designer to upload the file, choose your product and add team names or make amendments! Add your order to the cart and follow the checkout process to place your order… It couldn’t be easier! With TShirt Print Online, the more you order, the more the price per unit goes down, which is great news for school leavers orders! And combined with our high quality products, you’ll be certain to get your money’s worth. Don’t be fooled by companies who offer cheap prices, but for a product that is below par. Find a balance and you’ll be certain to put smiles on the kids and the parents faces! 7) Need to re-order one extra at the last minute without having to pay a different price? Make sure you guarantee that, if you need to order one more item, the company are happy to honour the unit price from the bulk order in case you need any extra’s at the last minute! As noted above, the more you order, the cheaper it is, but some companies like to move the goal posts if you come back for a repeat order with a smaller quantity. At TShirt Print Online, as long as the initial bulk order has gone through, we are happy to honour the unit price for any added extra’s at a later date! Why not add on a Tote bag to your order? If you’re super prepared and have plenty of time before the order needs to be fulfilled, you could always ask for a sample of a printed garment before you place the order. It’s not unreasonable to request this, especially if you’re ordering 40+ units. That way you can rest assured that you know you can expect a great quality print. Here at TShirt Print Online, we use the latest in garment printing technology and have a number of methods that we can offer to print your items. Click here to read more about our printing techniques, and here to find out about embroidery! Here at TShirt Print, we DON’T charge a set-up fee for printing. That’s because we can print from as little as 1 item to as many as you need! Some printing companies charge a set-up fee to prepare the artwork for print – often this is the case with Screen printing – so do make sure you look out for any hidden costs you might not have considered previously. If you’re going for embroidery, we do charge a set up cost on small quantities, but if you’re looking to get 11 or more, then that cost becomes FREE! Awesome! 10) Ask how quickly they can print them for you! If you’ve left things a bit late, do make sure you ask what the turnaround time is for the quantity of garments you need. Some companies have a set time for production and won’t budge on that unless you pay extra. Here are TShirt Print Online, we pride ourselves on a super-fast turnaround. So if you do need your order sooner rather than later, it might be worth giving us a call to see if we can help you out! Like we said in point one, we have a free artworking service, so you might as well use that while you’re getting the sizing and quantity info together, and once you’ve placed the order, we can fulfill the order in a matter of days! You don’t often find that kind of service anywhere else! 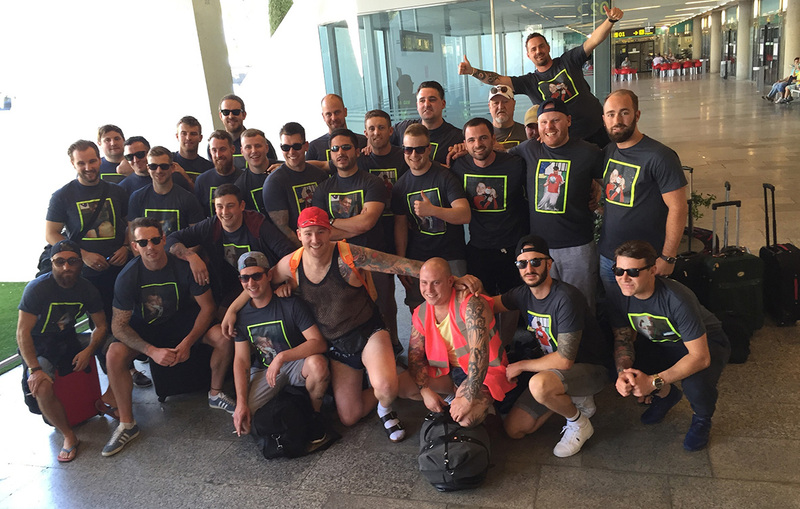 **VIDEO** Low Cost Stag and Hen party t-shirts! Here at TShirt Print Online, we can print your stag and hen party tshirts from as little as £9.50 per t-shirt! Just call us on 0800 373503 Mon-Fri 9am-5pm to find out more! In the meantime, check out this video on how you can create your design and save it on our website! Great news! You can now download artwork ready files for Photoshop, Illustrator and Coral Draw from our Help section of the website! If you’re already quite knowledgeable on how to use Adobe Photoshop, Illustrator or Coral draw to create designs for print, then you can download files that are already set up so that you don’t have to sweat the small stuff! Just make sure you don’t enlarge the artboard, but you can trim it to a smaller size if you need to. We’ve already got them set up for you at 300DPI and in CMYK Colour mode, so that you’ll be certain that what you’re creating on screen will be exactly what we print for you. Once you’ve created your design, all you have to do is email your file and contact information over to sales@tshirtprint.co.uk and we’ll contact you to take the order information from you. Why choose TShirt Print Online? We have one of the fastest turn arounds in the industry. Our dedicated team of experts are always available to help answer all of your questions. Unlike some online printing companies, we’ll assign you a member of staff to your order who you can contact throughout the order process. We offer blank and printed samples to larger orders so you can see your product before placing the order – See ‘Bulk orders’ for more information. We’ve worked with some of the biggest businesses in the UK and have over 30 years’ experience within the printing industry. We don’t bite, so if you have any questions you need answered, just contact us! Get the professional look with your workwear from TShirt Print! When it comes to workwear for businesses, getting the professional look is essential. What you wear can help establish your brand, bring your team together and invigorate a workplace. Not only that but it can give your business the type of credibility that customers look out for when choosing a service. Depending on what type of clothing you need, you can easily strike a balance between formal and informal; for example, a simple t-shirt is casual and comfortable to wear, but is transformed into a great uniform when you add your logo and it’s good for those in more active roles. Or at the opposite end of the spectrum, your team can look incredibly slick in a branded shirt, perfect for in the office or customer facing roles. It’s been proven that uniforms encourage customers to approach your staff as they can identify a member of staff as an employee, making it easier for your team to begin the sales process. Also, your staff will feel more professional, boosting their confidence and making them feel a part of a team. At TShirt Print Online, we have a range of garments and decoration processes for you to choose from. 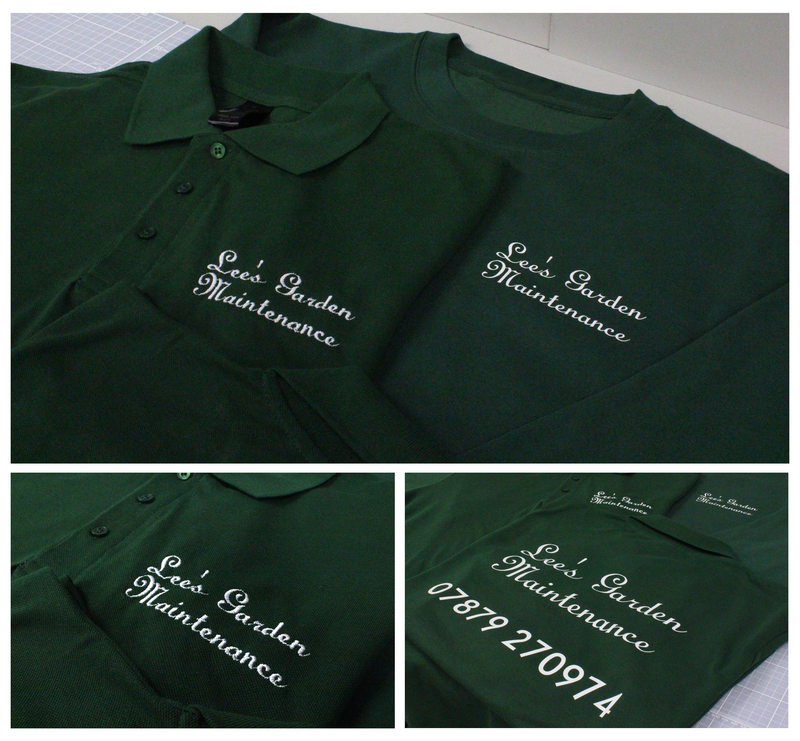 Our most popular method of printing is embroidery. This is where a design is sewn onto a garment using an embroidery machine. It gives a highly professional and long lasting appearance and is suitable for text or logos. We also offer vinyl print, which is great for simple, one colour text and logos, and Direct to Garment prints that can capture the full quality of a highly detailed design, photo or illustration. All of our printing processes are durable and long lasting (providing you follow the care instructions correctly) meaning that branded clothing is a worthwhile investment that can last for years. 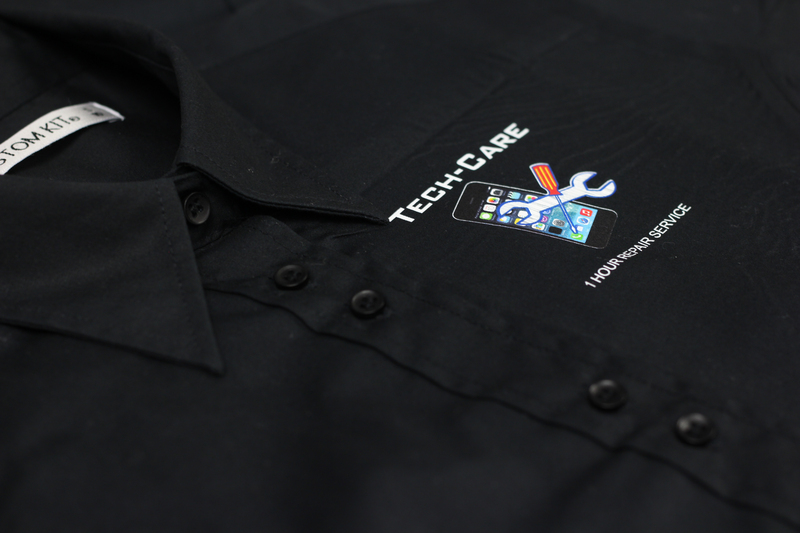 The classic t-shirt is a versatile garment and our most popular for businesses across the UK. We offer a range of different t-shirt styles, from standard, to v-neck, long-sleeve and vests. We also offer bulkier items that are great for those working in colder conditions, like sweatshirts, hoodies and fleeces. If you work in the sports industry or you’re a personal trainer, look no further than our range of neoteric tops, made from a breathable material so that you can cool down when you exercise. Or check out our range of aprons if you work in the catering industry. If you’re looking for a more formal look, we also stock shirts and polo shirts that are perfect for a professional finish. And don’t forget our range of accessories; complete your uniform and bring a team together by getting matching baseball caps! Or do you already have your garments ready and waiting to be branded? That’s great! We can also print onto customers own items. With all this choice, it’s so easy for you to add your branding to any of these and get that professional look in no time at all! We also offer a free artwork and proofing service, so if you need help perfecting your logo, just contact us and our team of experts can prepare it for print and send you over a proof of what it will look like so that you can confirm the design before we go to print. At this point, you might be worried about the cost of purchasing your workwear, but you have no need to fear; At TShirt Print, the more you order, the bigger the discount we can give you. Not only that, but as mentioned before, our prints are long lasting, making it a long term investment. We also have a quick turn around and are committed to offering a high level of customer service to everyone – just check out our testimonials to see for yourself the service we’ve provided to other businesses in the past. For more information, please don’t hesitate to contact us! Top 5 last-minute Christmas gift ideas! Who doesn’t love the phenomenon that is Frozen? And now you can get this super-cute personalised ‘do you wanna build a snowman’ cuddly toy! We’ll personalize it with high quality embroidery and if you order it by the 22nd, we can get it to you in time for Christmas! It’s the perfect gift for any little and big kid alike with a love of Frozen! Click here to personalize this item! This apron design is perfect for anyone with a passion for entertaining, wining and dining friends and family over the festive season! Not only that but it’s one of our many personalized items with designs that will be applicable year after year and not just to be used for one Christmas. You can easily change the colour of the apron and the design and add a name so that it suits whoever it’s intended for. Not only that, but if they open it on the big day, they can wear it while they’re preparing the Christmas feast! Click here to have a play around with the apron design and to add a name of your choice! The Christmas film ‘ELF’ has become a cult classic for Christmas lovers the world over, with many people able to quote the film – so why not get one of those quotes on a tshirt! Perfect for anyone who’s obsessed with the film, or just obsessed with Christmas in general! Click here to buy it now – it couldn’t be easier! Know someone who may not have been the most well behaved person in the run up to Christmas? Not sure if Santa is going to leave them presents or coal under the Christmas tree? Why not get them this ‘I can explain’ tshirt so that they can try to redeem themselves in the last few days before Christmas! Perfect for a secret santa gift or for someone who likes to have a laugh! Just click on the design and you can add it to any of our products on our website! Don’t fancy a tshirt? Try putting it onto one of our sweatshirts to keep them warm! Or a cap, or a vest… the choice is endless! Click here to see the design. My all-time favourite Christmas item on TShirt Print Online is our personalised baby’s first Christmas set! This adorable set-of-3 is perfect for any little family celebrating Christmas with a new member of the family. It comes with a personalised red hooded baby grow featuring an adorable little penguin, a personalised stocking with the baby’s name on it and a ‘my first Christmas’ santa’s hat. Perfect for those Christmas day photo opportunities! Click here to customize your set now!